Well, most people may have watched the movie called “The Social Network’ and know a few more things about mark Zuckerberg’s personal life and his college mates other than the techie stuffs and story about facebook. So, here’s something which will definitely make you feel happy, for a while. 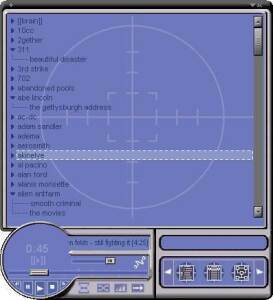 Mark created a music player in the early 2000’s which automatically detects the taste of music, much like the last.fm does and it was quite like a small step towards his way to become a multi millionaire geek in the industry. In fact, big companies like Microsoft and AOL wanted to buy this app. But Mark joined neither Microsoft nor AOL and uploaded the app for free, then he joined Harvard University and finally, there he started facebook, then called as thefacebook.com. The Application was very popular and was featured on the SlashDot. It was given a rating of 3/5 by PC Mag. Below are some of the reviews from users on cnet.com. And here are some screenshots of this cool music application.